Port Antonio Jamaica isn't only known for being a shipping port for bananas, but has many rivers and waterfalls with a wealth of other activities and attractions. Situated on the coast north of the island, with some of the finest white-sand beaches that are not crowded. The town is surrounded by some the most rugged and beautiful mountains of the Blue Mountains. Port Antonio is quiet, laid back and is Jamaica's greenest parish due to the amount of rainfall here. You'll not find the mega-resorts here but there are a couple of upscale villas, and some modest places to stay and have lots of fun. This area is known for its most famous attraction the Blue Lagoon, also known as the Blue Hole, which is at a depth of two hundred feet. The color of the sea here is constantly changing with the movement of the sun from turquoise to green to magnetic blue. It is truly a beautiful sight. Frenchman's Cove Beach, with an opening to the sea which is majestic and semi private if you choose to visit. The beach is cozy with a freshwater river that is open to the public. Folly's Mansion, the story of a rich's man folly. The story goes that this mansion's threshold was foolishly built using a mixture of concrete and sea water. It started to crumble when he carried his bride over that threshold. 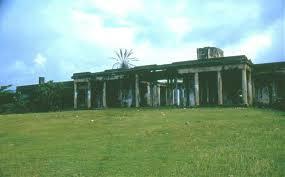 Do visit this historical ruins for more on this fascinating story. 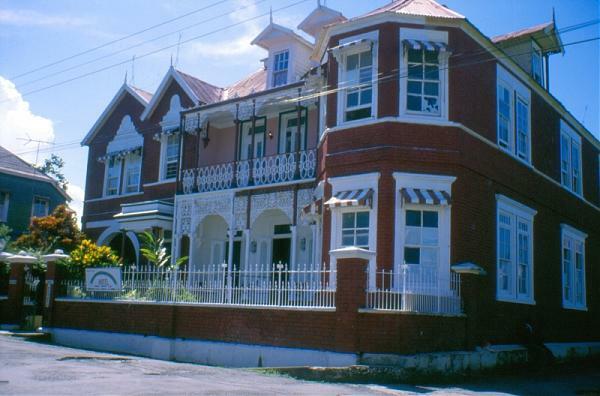 DeMontevin Lodge, a historical site built in the early 1900s at the corner of Fort George Street and Musgrave as an exclusive residential lodge. It is a National Heritage site where you can sample some of the most authentic Jamaican food. They are known for their suckling pig, codfish and ackee and lobster dishes. Boston Bay and Reach Falls, interesting places to explore. Jamaica reggae music you can just lay back and enjoy or dance to its popular beat. The Errol Flynn yacht marina, also known as the Port Antonio Marina, has slips for thirty-two vessels, with state of the art docking facilities, laundry, showers, a pool and bar. This port welcomes and is great for Sailing Women on Yachts. These women sail across the globe to some amazing places and this includes Jamaica. This is a site mainly from a women's point of view, the challenges, adventure, sailing with partners, families or solo and the places to visit along the way and much more. This port town is also known for its yachting activities and docking here has just gotten cheaper. Jamaica's Cabinet has replaced the existing fees to dock here and has approved the payment of only an annual fee that covers customs duty, customs user fee, environment levy and a General Consumption Tax. The new annual fee that will hopefully encourage the registration of pleasure crafts, facilitating home porting at the Port Antonio Marina. Further, yachts less than 25 feet in length will not be required to pay registration or safety inspection fees for the first two years, after being landed. Yes, it is a major shipping port and does provide for the economy as it's able to export and import via this port. The true draw is the fact that it's part of the island paradise. 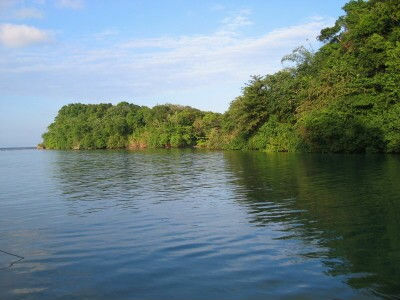 There are many things for tourists to see and do during one of your Port Antonio vacations. 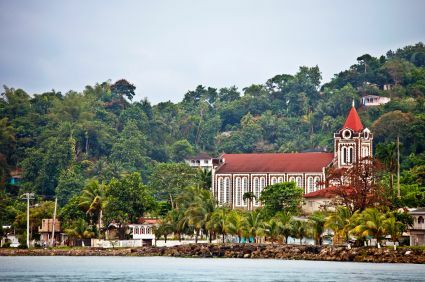 These are just some of the things you can do and enjoy when you're in Port Antonio Jamaica, and there are a number of hotels, and a number of famous tourists who have visited here. Relaxing is a popular choice while visiting this island town with a blue lagoon. These are just some of the things you can do and enjoy when you're in Port Antonio Jamaica. Until the 1880's Port Antonio was known as simply a sleepy town until Lorenzo Dow Baker started to partake in the banana trade. It was then this town began to thrive. The people who lived there started to realize the potential they had. The town was promoted to wealthy Americans in an effort to get them to come and visit. This's what made it into the attraction and tourist town it has become today. In order to get here there are a couple of options. You can arrive by ship, or you can fly into Kingston and travel to the town by bus. 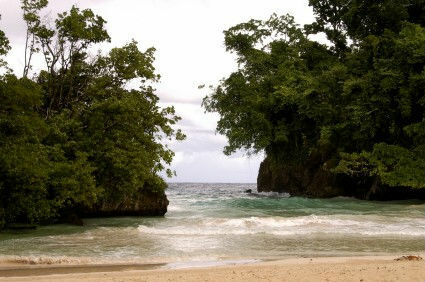 Return to Home Page from "Port Antonio Jamaica"